President Kersti Kaljulaid is in Latvia on Sunday to mark the centenary of Latvian independence. 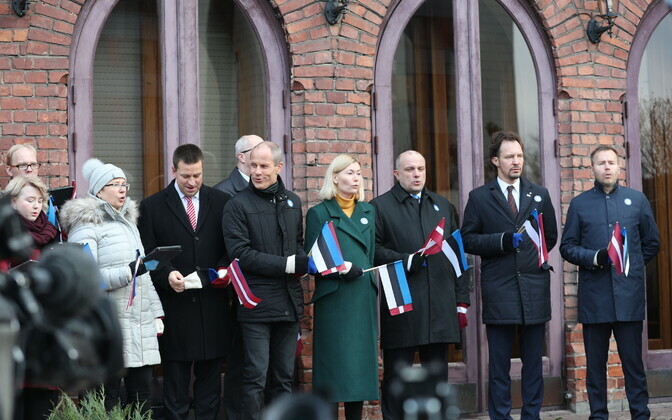 Meanwhile members of the Estonian government marked the event in Tallinn and sang the Latvian national anthem. 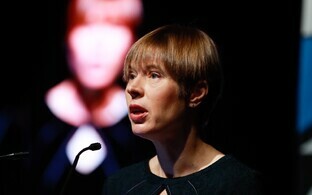 "The history of Estonia and Latvia is intertwined; we have fought together for our freedom, and the time has brought us together and strengthened us," said Ms Kaljulaid in the Latvian capital, Riga. 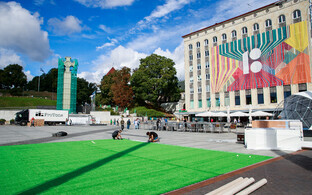 ''On Latvian independence day we fly both Latvian and Estonian flags together to celebrate Latvia's independence. It is a great pleasure for me to be in Riga today to take part in the events and congratulate the president, Raimonds Vējonis and the whole nation on the occasion of their centenary,'' she continued. 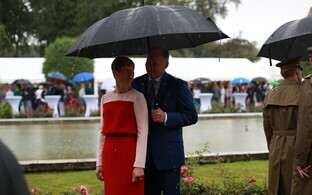 Ms Kaljulaid is also presenting a new edition of, 'The Kalevipoeg', a poem written by F.R. Kreutzwald in the mid-nineteenth century and a synopsis of the principal Estonian folk tale. 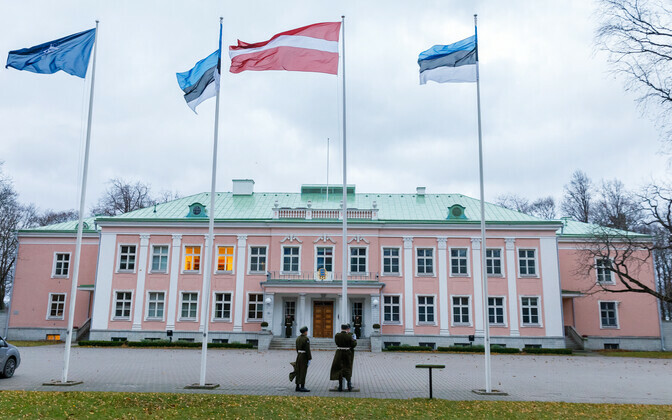 The Latvian flag was also flown outside the presidential palace in Tallinn on Sunday. Ms Kaljulaid is joined by her counterparts Dalia Grybauskaitė, Sauli Niinistö and Guðni Thorlacius Jóhannesson from Lithuania, Finland and Iceland respectively. Iceland was the first sovereign state to officially recognise independence of all three Baltic states through 1991, following their restoration of independence. 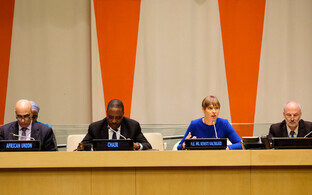 Ms Kaljulaid's visit marks the end of a cycle of independence centenaries of Baltic Nations, beginning with Finnish celebrations last December and followed by Lithuania in February and Estonia in March. 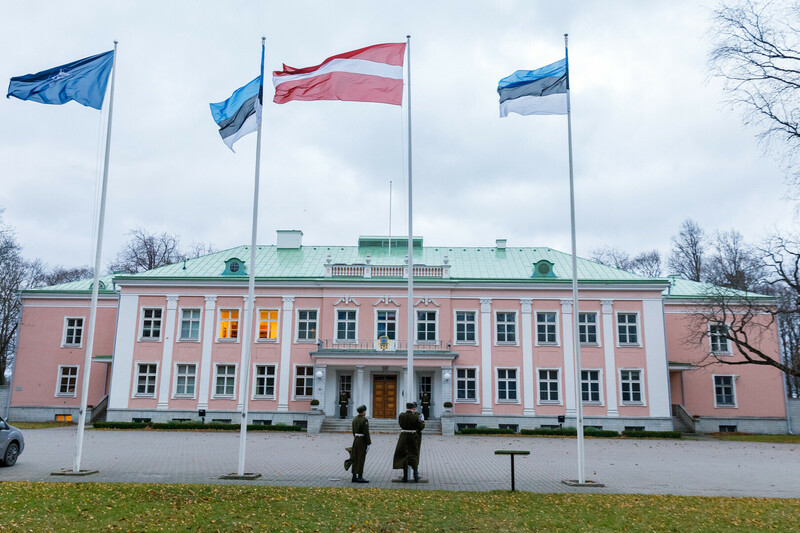 Meanwhile members of the Estonian government marked the event with a rendition of the Latvian national anthem, "Dievs, svētī Latviju", outside the Latvian embassy in central Tallinn at around 11.00 EET. Prime Minister Jüri Ratas (Centre) was joined by ministers Riina Sikkut (health and labour, SDE), defence (Jüri Luik, Pro Patria), Indrek Saar (culture, SDE), and Toomas Tõniste (finance, Pro Patria), Rene Tammist (entrepreneurship, SDE) as well as the Latvian ambassador and others (see gallery).